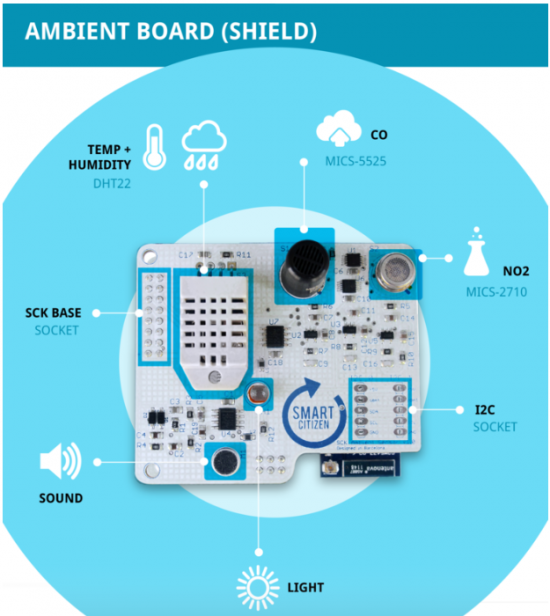 In our research around the emerging Internet Of Things product category, one area for data collection that’s been blossoming is in environmental sensing. Qualities like temperature, humidity, barometric pressure, and VOCs can tell us a good deal about our immediate surroundings and let us diagnose air quality, both indoors and outdoors. Ideally the devices will help us understand how changes in those values might correlate to health or mood. In the past, we’ve featured Lapka blocks, which are super pretty white and wooden blocks that detect radiation, EMF, humidity and nitrates in foods. We also took a look at yet-to-be released Cube Sensors, which measure what we called the “indoor invisibles”, temperature, humidity, noise, air quality and barometric pressure. 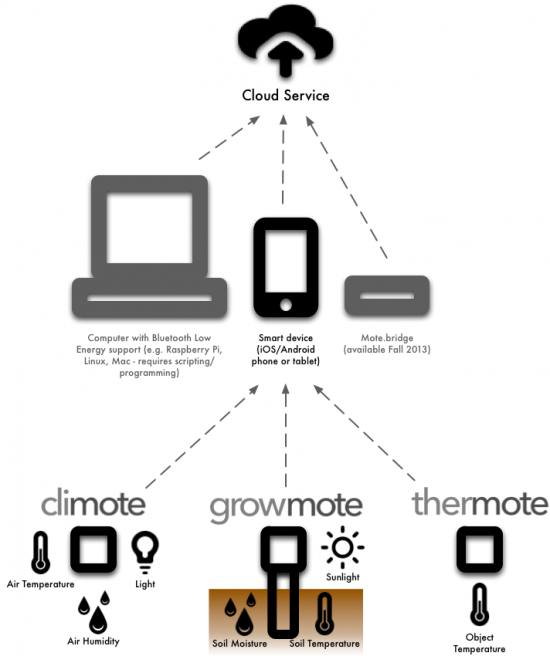 A new one we’ve found on Indiegogo is called Motes, a collection of small, wireless sensors for iOS, Android or Linux that measure values such as ambient temperature, humidity, light, soil moisture, soil temperature, object temperature, human presence and movement. According to their website, they last for about a year on a single battery and because they communicate with the cloud via an existing device (smartphone, tablet or computer), they don’t require a wifi connection. While these products aimed at individual households or offices can help us understand what’s happening in our immediate environments, what makes devices like this really powerful is when they give us tools to build a “macro view” of surroundings based on collective data that’s measured by many individuals over a large area. This larger view offers the ability to crowdsource meaningful aggregated data from a number of different geographic locations at one time, thus validating environmental concerns and providing evidence for citizen journalism. 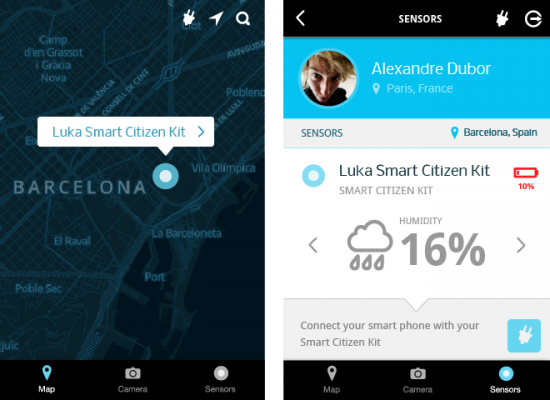 We’re excited about the potential for this to empower citizen journalists. As of this posting, the project was just a few hundred dollars shy of their $50,000 goal, so we wish them luck!